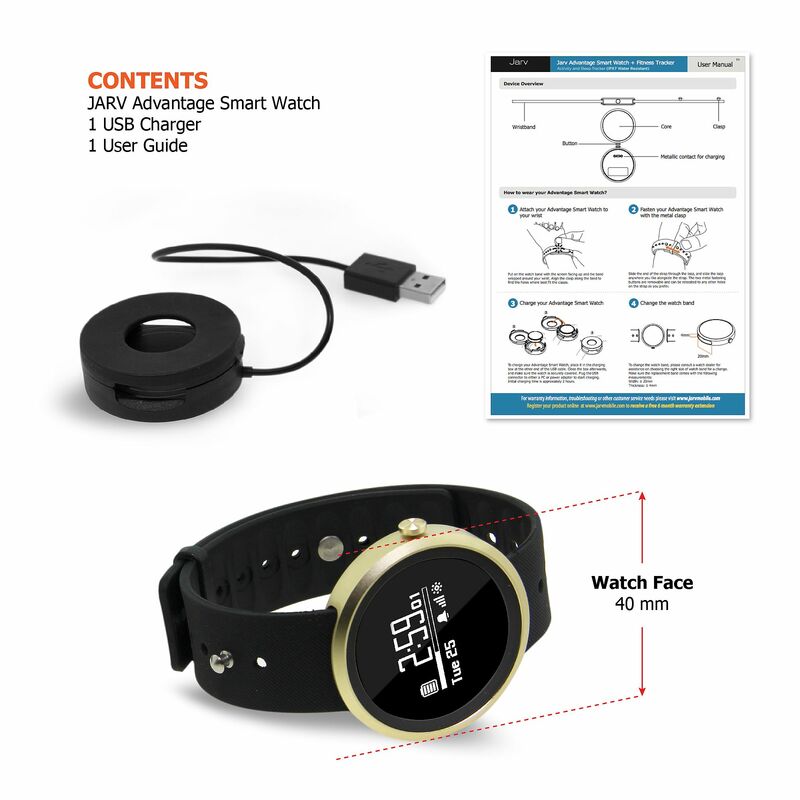 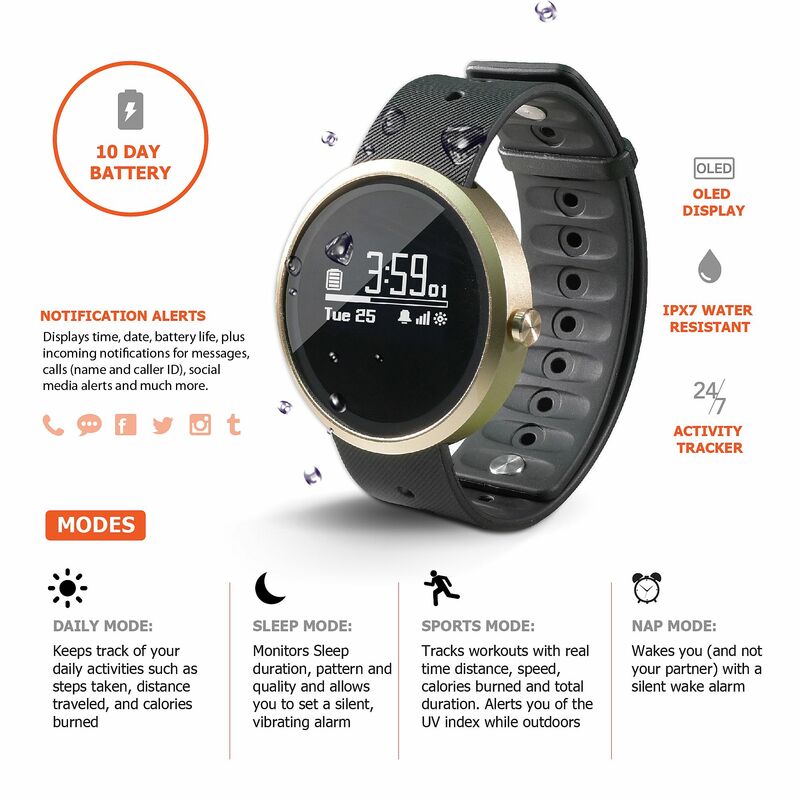 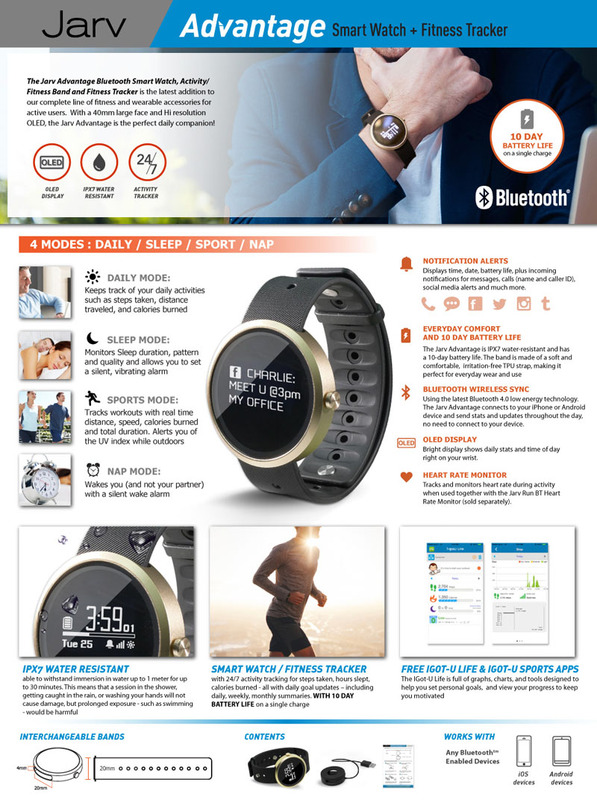 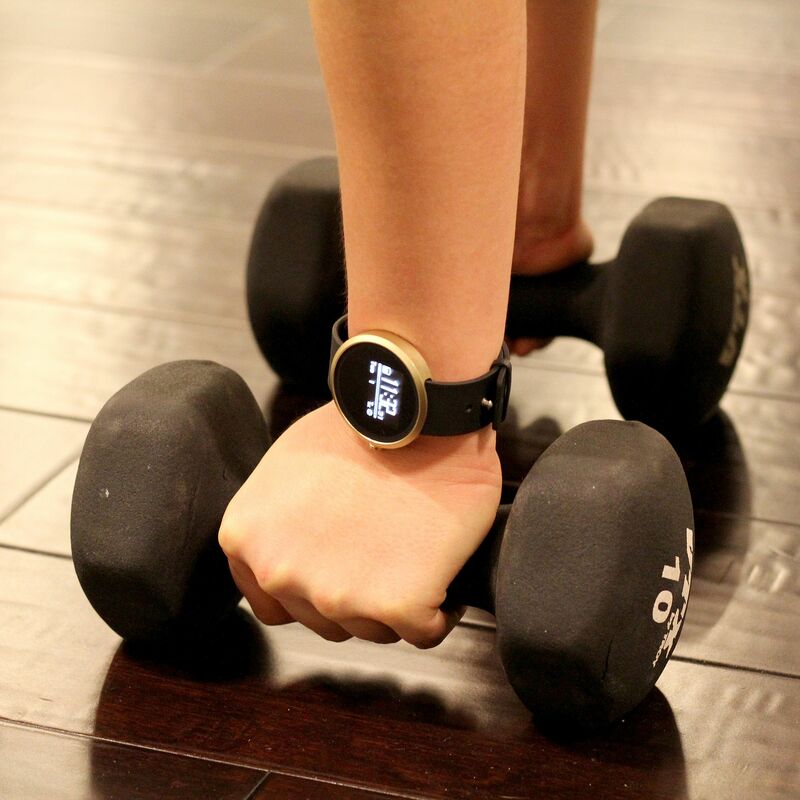 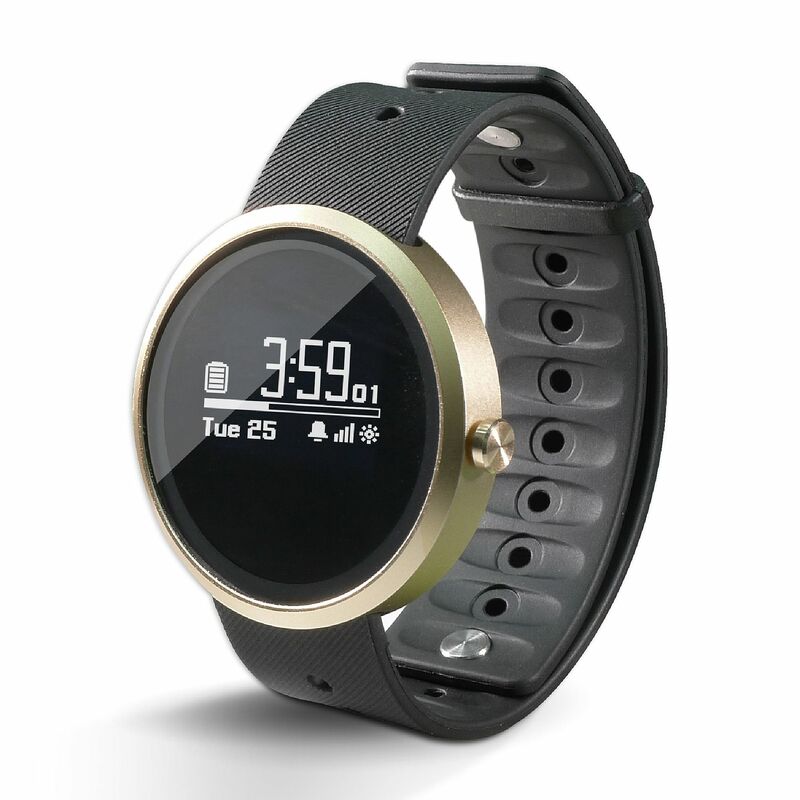 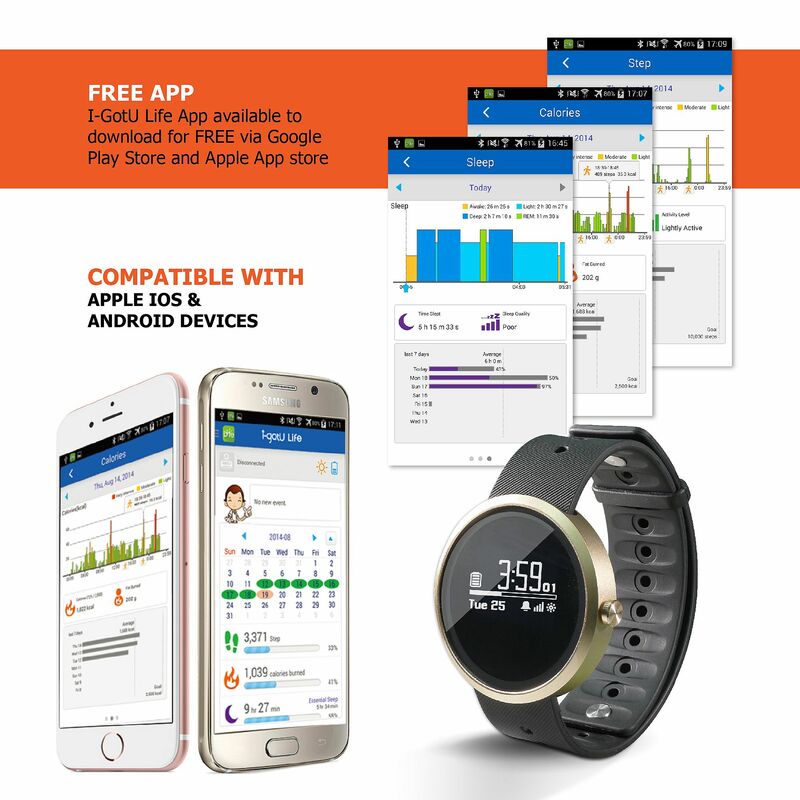 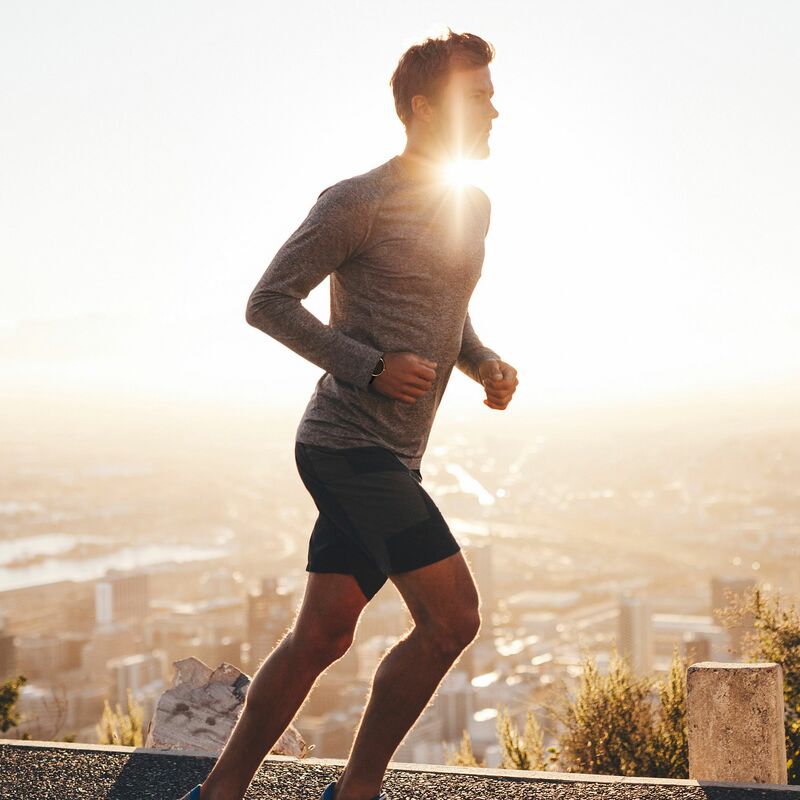 The Jarv Advantage Bluetooth Smart Watch, Activity/Fitness band and Fitness Tracker is the latest addition to complete line of fitness and wearable accessories for active users. 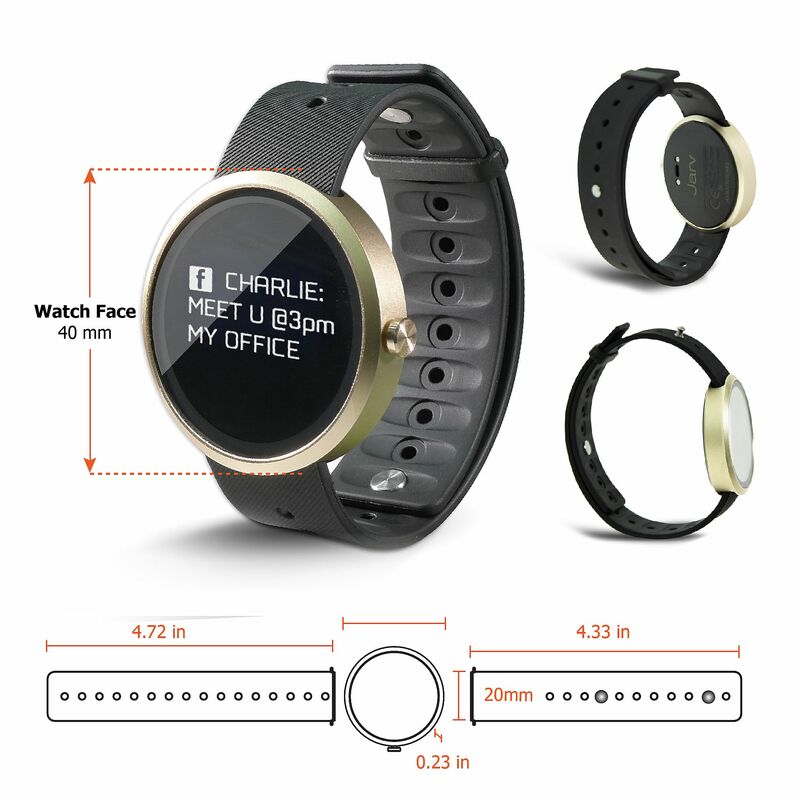 With a 40mm large face and Hi resolution OLED the Jarv Advantage is the perfect daily companion! 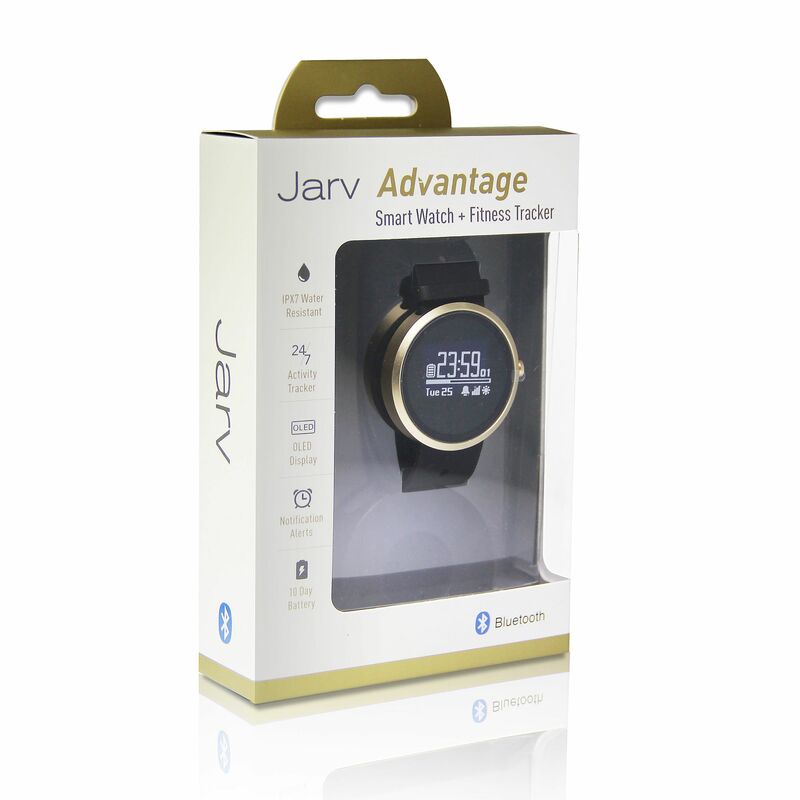 All Jarv products include a 1-year warranty. 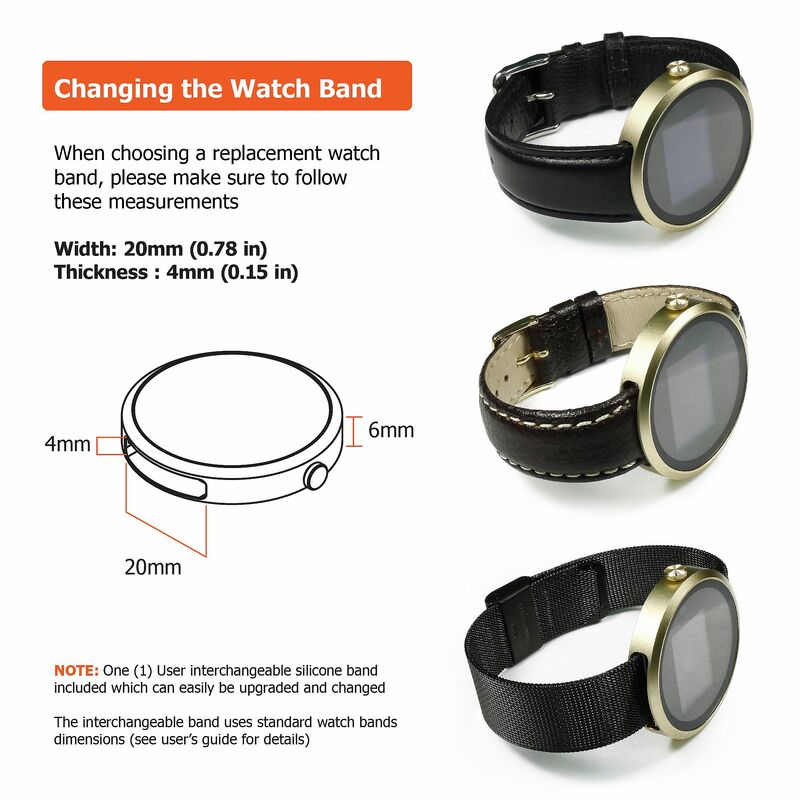 Diameter | Thickness | Weight���� 40mm in / 0.3 in / 0.92 oz. 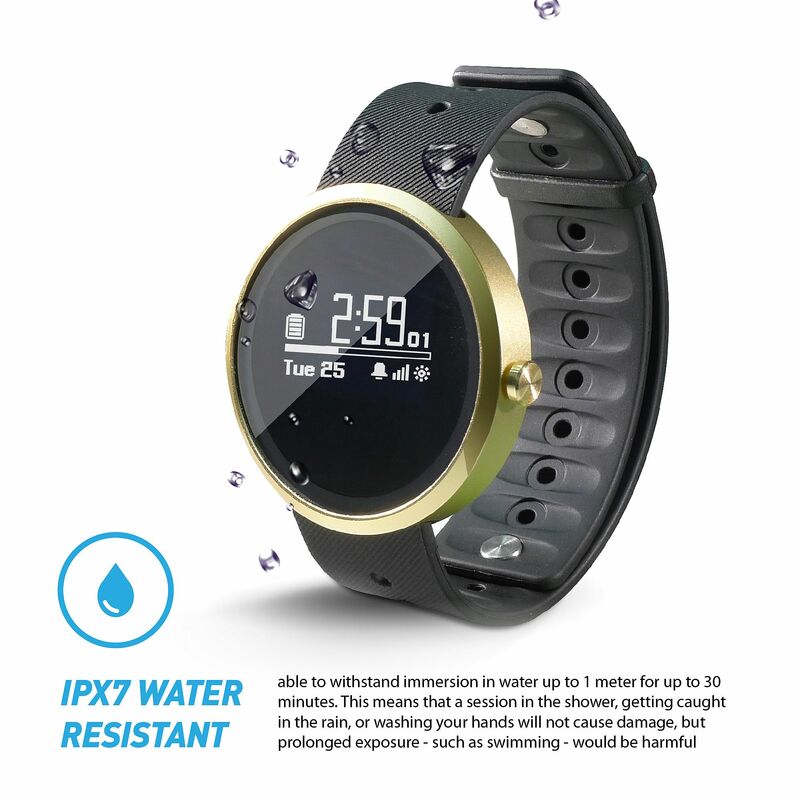 Transmission Range � � � � � � � � � 33 ft.
steam room may cause damage to the device.